What is a bracelet blank? A bracelet blank is a bracelet that has unfinished areas, blank spaces, or "blanks" (sometimes called "discs") that you can glue objects onto to create a finished bracelet. Bracelet blanks come in many different styles, from bangles to cuffs to link styles. They also come in different finishes, such as silver plated, brass, and vintage finishes. 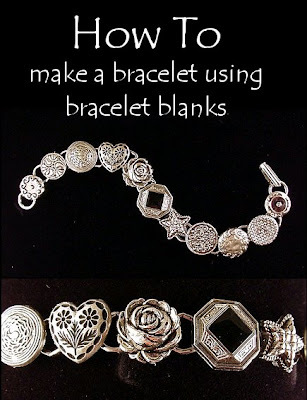 In this DIY I will be explaining how to make a bracelet with the link style bracelet blank. Different styles of link bracelet blanks will have different sized discs, from small to large. 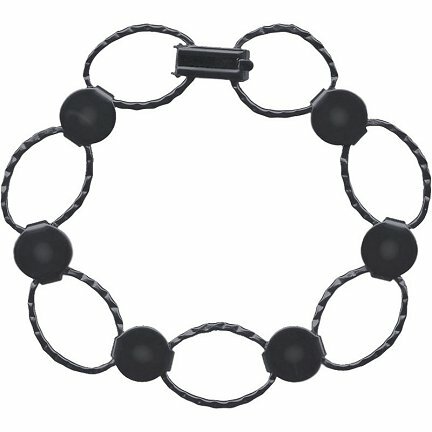 You can buy bracelet blanks that have just a few discs, or many, as shown in the photo above. 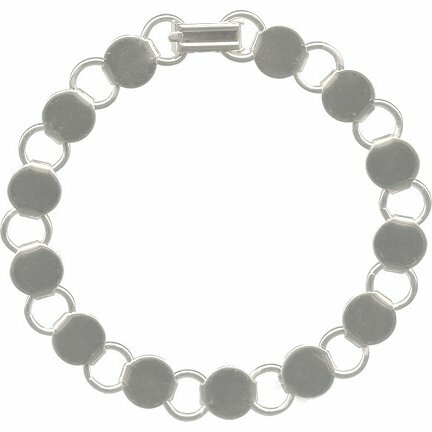 Where can I get bracelet blanks? You can find bracelet blanks at just about all major online jewelry supply shops, on Etsy under the "supplies" category, and at most large craft stores. 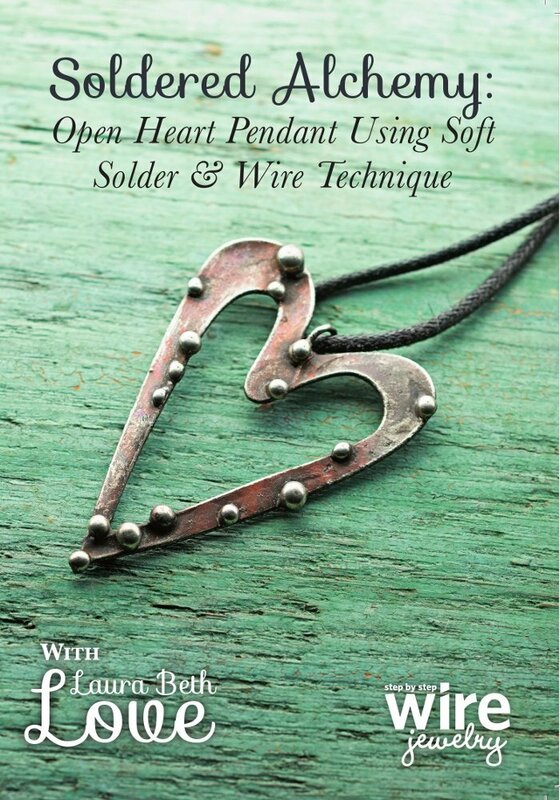 All of the ones shown in this article are available from Rings N Things. What type of adhesive should I use for gluing things on to bracelet blanks? The first thing you want to consider before selecting any type of adhesive is what materials you will be gluing together. This is very important. There are all types of glues and adhesives, but some are for specific materials. Rings & Things has a great guide to adhesives that you can read here. I really like E6000 glue. It's widely available, inexpensive, great for binding all types of different materials together, and it's super strong. Be sure to read the instructions on the label and especially follow any safety warnings. Do your gluing in a well-ventilated area! 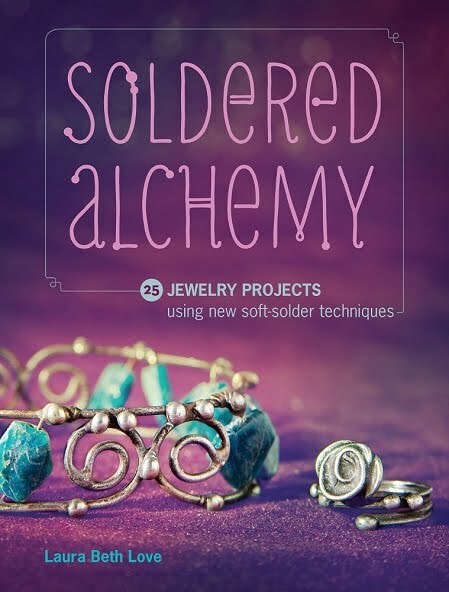 *Note: Certain types of blank bracelets can be soldered. This is an advanced technique that I may discuss sometime down the road, but for now, I want to keep this DIY easy! What types of objects can I adhere to bracelet blanks? How do I make them? Fun part! You can glue just about anything to bracelet blanks. To make your bracelet: Simply lay out your bracelet along with your items and arrange them until you find an order that is pleasing to you. Apply your adhesive to the bracelet blank and adhere your item. Allow to dry according to the directions on your adhesive. This could be from a few hours to overnight. That's it, it's that simple. 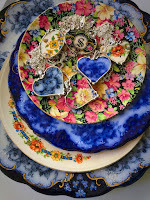 Charms and findings: vintage brass finish is STILL popular! Laminated paper - think photos, mini works of art, etc. 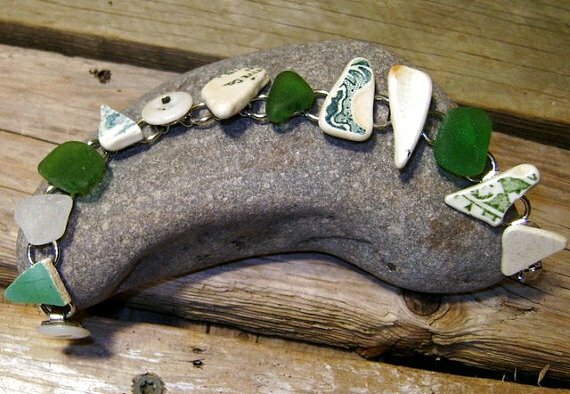 What types of items would you make your bracelet with? article copyright ©Laura Beth Love 2016 all rights reserved. I love the vintage earing bracelet. I can't wear earings for pierced ears so this would be great for me :). LOVE THIS TUTE! i'm gonna do this asap!thx for the info! love all ur jewelry! Thank you for the inspiration. I have quite a few bracelet blanks that I have bought for other designs so think I will get my buttons out and give this a try. I love your buttons!! 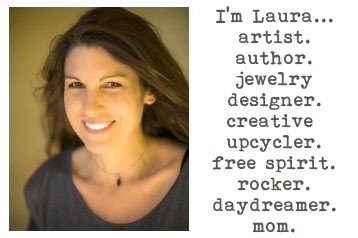 I'm going to find me a bracelet blank TODAY! Great tutorial! I really love the bracelets! Just curious what your tricks are for uneven backs of the items you want to glue? Buttons are easy but vintage clip earrings are often rounded in back just enough so there isn't e ought surface area to glue to the blank (to filigree or whatever base your use). Would love some ideas from anyone who is doing this craft! Does anyone have suggestions for gluing buttons or brooches to rounded metal cuff bracelets? Thank you! 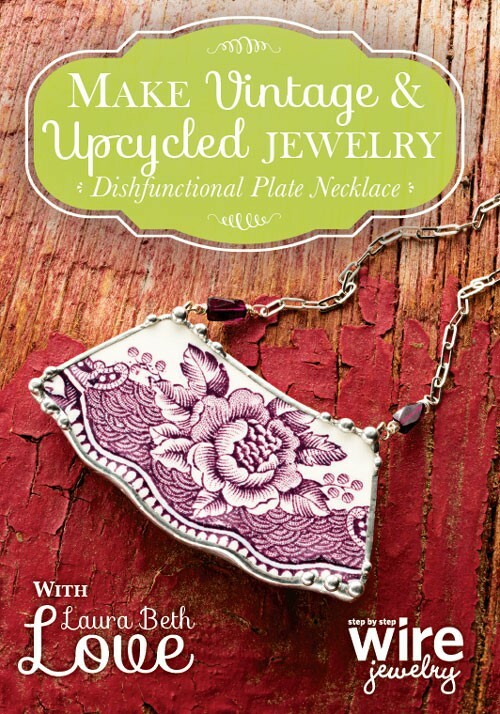 now I know what to do with my grandmother's jewelry! Happy that you enjoyed the post! You're welcome, glad you liked the post! Your just the inspiration I needed. 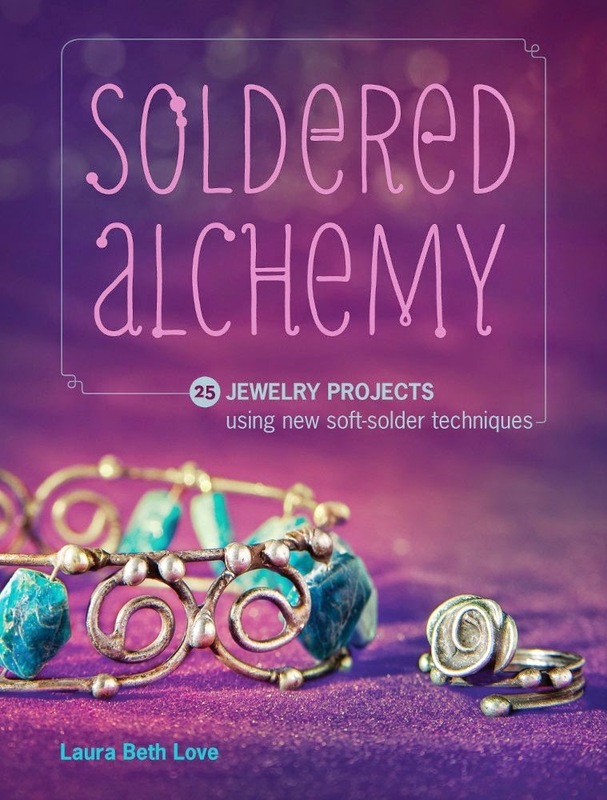 Which of your solder books should I read first? 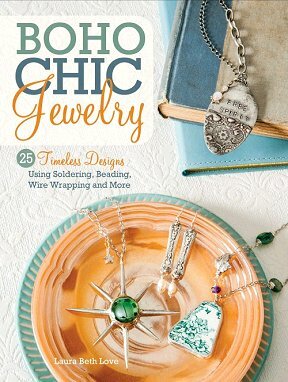 Hi Paula, Begin with Boho Chic Jewelry book. Hope you enjoy it!